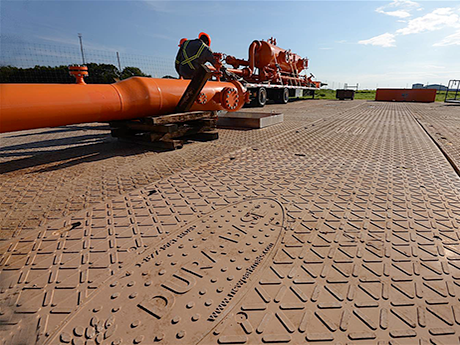 Temporary Pipeline Mats - Pipeline Construction Matting | Newpark Resources Inc.
DURA-BASE® Advanced-Composite Mats are engineered to handle heavy loads safely and reliably. They are designed to be lightweight for ease of portability, reducing time and transportation costs. 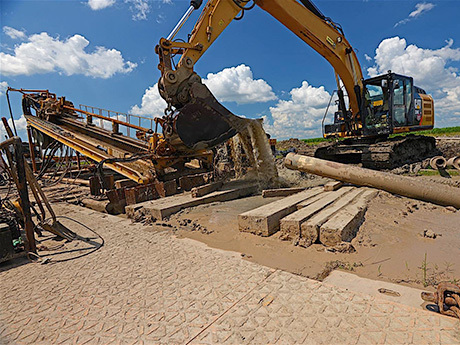 DURA-BASE® Advanced-Composite Mats for pipelines provide a strong, stable surface to ensure the safety of directional drill pipeline construction projects. 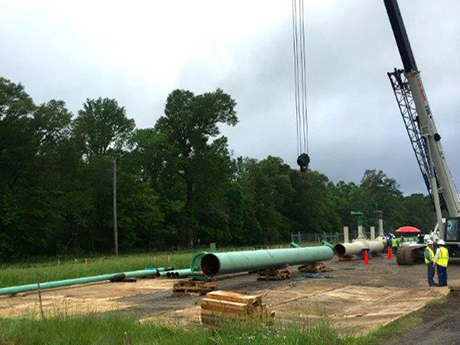 While not a replacement for timber crane mats for side boom equipment movement, DURA-BASE® is engineered to handle the complimentary need for pipe trucks to more easily access any and all pipeline construction sites. 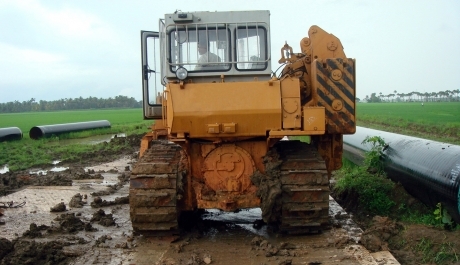 DURA-BASE® ensures that road and work surfaces do not separate and the mats can easily be unconnected, moved via forklift and reconnected as the pipeline is laid. 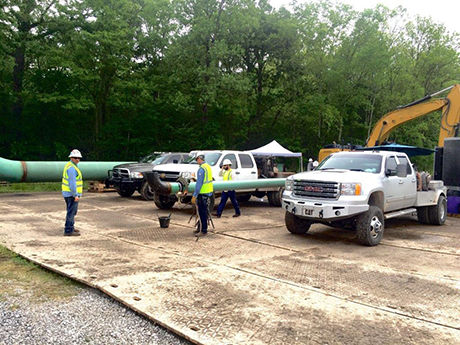 Pipelines are often laid in areas lacking access roads, and equipment damage can result in costly repairs and delays. DURA-BASE® mats enable high-capacity temporary roadways for tractor/trailer traffic, with features like turning areas and passing lanes as well as storage pads for the pipe staging yards. A good example is a recent project on the Gulf Coast where a DURA-BASE® pad was used to support directional drill equipment to drill into the Gulf of Mexico. This project was performed in the coastal marsh approximately 1000’ from the shoreline. This project lasted 2 months and of course was completed successfully and on time due to the ample support provided by DURABASE® mats.